The Witcher is a series of Polish novels by Andrzej Sapkowski that hit the mainstream due to two (and soon to be three) successful video games based on the books. 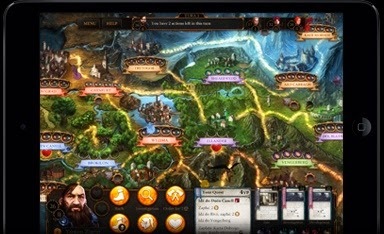 The Witcher the Adventure Game draws from both sources as it creates a semi-cooperative fantasy board game for two to four players. Four characters form the source material are available, including Geralt of Rivia, the titular Witcher, a monster hunter imbued with supernatural abilities. As you play you’ll be able to level up your characters, customising them to your needs. Designed by Ignacy Trzewiczek, the Witcher the Adventure Game boasts a ‘clever narrative development’ but we’re not entirely sure what that means. What we do know is that you will travel around the world solving ‘oodles’ of quest cards (not my words) suggesting that there will be enough variety in the quests available that the game will play different every time. The big news though is that the game is also coming to iOS and Android tablets. This isn’t something that Fantasy Flight Games usually does but seeing how CD Projekt RED is a video games developer it makes sense for them to expand the game into this market. 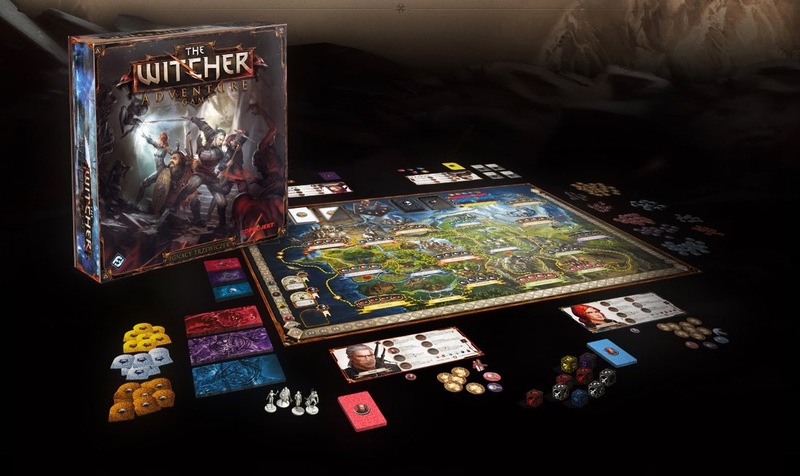 Who knows this may end up being a game that is more popular in tablet format than physical board game just because of CD Projekt RED’s clout in the video game industry. So what do we think of these details? I have faith in Fantasy Flight Games and Ignacy Trzewiczek, both having a track record in creating top notch games. The one worry is that the game mechanics currently sound too similar to other Fantasy Flight Games, such as Talisman and The Warcraft Adventure Game.